The Level 7 Diploma in Logistics and Supply Chain Management is designed for managers who have the authority and personal inspiration to translate organisational strategy into effective operational performance in the field of business and manufacturing. The Level 7 Diploma in Logistics and Supply Chain Management has been developed to produce graduates with skills to understand logistics and supply chain management in which they operate and to align good strategic decision making to maintain their organisation’s competitive advantage. Logistics and supply chain management brings together the business skills to manage the activities and flows of information between suppliers, manufacturers, logistics service providers, retailers and consumers. Successful completion of this diploma will enable learners to build on their strategic management and leadership skills and to focus on the requirements of implementing the organisation’s strategy. Passing the OTHM Level 7 Diploma in Logistics and Supply Chain Management enables learners to progress into or within employment and/or continue their further study. 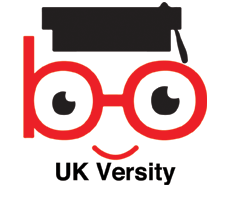 OTHM has progression arrangement with a number of UK universities that acknowledges the ability of learners after studying Level 7 qualifications to be considered for advanced entry into masters top-up programmes. Course materials, including presentations, handouts, assignment briefs and e-books are made available to enrolled learners. In addition to this, the learners will also receive the course handbook and tutorial via emails, in order to support the learning.